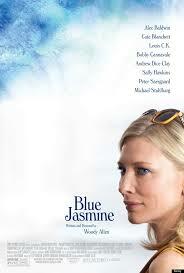 I saw “Blue Jasmine” this weekend–Woody Allen’s latest. I enjoyed it mostly because Cate Blanchette’s performance was just insane. She was incredible in every way. I didn’t think it was a particularly great story, but it’s worth seeing to watch this performance. This is an interesting article on the the costume designer, Suzy Benzinger. I did notice how spot-on Cate’s clothes were, in terms of the classics that make up an upper East Side lady who lunches. I love movies. Every aspect. Yes, even the clothes.